One of the main reasons I blog is because I have this crazy aspiration that I am destined to be a writer. And a famous one at that. Naturally every time I see something telling me that blogging is not actual writing I cringe and wonder if I ever really will be the writer that I dream of. You know all famous and well known, and paid. Of course then there are those that will say just by regularly posting on a blog I am essentially a writer. At least of sorts. There are always grey areas in life, well apart from death. Which is pretty much black and white. You are either dead or alive and that is all there is to it. 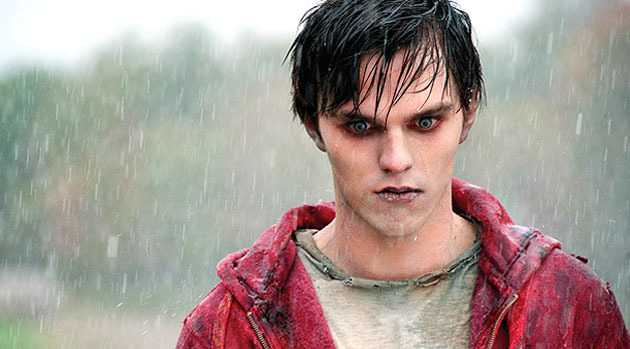 Though having just watched the movie Warm Bodies, even the whole dead thing is perhaps not as black and white as what we may have once believed. Not that I want to spoil the movie for those that haven't seen it but essentially it is all about Zombies being cured with a little love and hope. Which I must admit, apart from the Zombie aspect is exactly my cup of tea. Have I ever mentioned how I feel about Zombies? Just quietly they make my stomach churn and my eyes squeeze tightly shut. Which as you can imagine makes watching a full feature film narrated and starring a Zombie just a little bit tricky. The whole eating of brains, pale skin and inability to communicate is just a little much for this little black duck. Having said that though I am contemplating writing up a proper review for the movie. Though that may mainly be more to do with a desire to see if I could crack Google algorithms and make it onto the first page of searches for movie reviews for Warming Bodies. A few months ago I wrote a post about how I made a pigs in mud cake for EssentiallyJess. Since then my page views have skyrocketed and left me feeling all kinds of awesome. Apparently people the world over are interested in making this cake and yours truly seems to be a hit in search times. All of which is of course awesome and please Google gods and powers that be don't think for an instant that I am complaining because I am not. Well ok maybe just a little but not really. I do love the fact that each and every day I can see more and more people stopping by this little old blog of mine, it is just that I kinda would like them to stop by and read just more than that one post. Hence the desire to see if I can jag the whole SEO thing again with a review for Warm Bodies. Or anything for that matter. A movie review of a latest release just seems like the easiest way to try. Despite all my other movie review attempts being a flop. But then again I am the eternal optimist. I am not a zombie lover but I did see a preview of this movie and it looked as sweet as a zombie movie could be! BTW good luck in cracking the Google code. I'm currently receiving extra pageviews due to a post on Rick Astley that I wrote some time back - you never know what topic will provide you with Google love! I can't even watch the ads for walking dead! Life long dream... Would love to use the skills I have to work with teenagers. And I have a story within me that needs to be told. I freak out watching xombie movies too, they give me goosebumps! But I LOVE Zombieland, I can watch it over and over again... even though the zombie makeup is done sooo well! It's funny and makes me laugh nearly all the way through. The kids really want me to like Walking Dead, but I just can't do it. It was too 'real' last time I watched it - back before it was actually released in Aus. And you should do a review of it! !